The Constitution is the foundation whereupon the South African State rests. Chapter 1 of the Constitution is the foundation of the Constitution itself. The provisions contained in Chapter 1, therefore, cannot be over-emphasised. Chief among these provisions, section 1(c), provides that South Africa is a democratic state founded upon the supremacy of the Constitution and the rule of law. As discussed in my 20 October article titled “What is the Rule of Law?”, when arbitrary, discretionary decisions, rather than objective law, carry the force of the State, it is not law that governs, but ‘the rule of man’. Friedrich Hayek, in his seminal book The Constitution of Liberty, explained that the rule of law can be said to exist only if the legislative or executive authority does not know the particular case to which the rule will be applied, and if the judiciary applies the rule according to established legal principles. These principles developed through the centuries as self-evident best practice, and not as deliberate political undertakings. The Good Law Project’s Good Law, Guidelines, Principles, and Values Report states that “the rule of law requires that laws should be certain, ascertainable in advance, predictable, unambiguous, not retrospective, not subject to constant change, and applied equally without unjustified differentiation.” This explanation is in line with what Hayek wrote many years before. The rule of law is a historical development predominant especially in the British common law tradition and adopted in South Africa. With our constitutional commitment and the true rule of law in mind, we must identify and oppose all instances where this doctrine is violated, especially by the executive government. According to the separation of powers doctrine, Parliament creates the law, the executive implements the law, and the judiciary, or courts, interprets and applies the law to matters brought before them. Each of these three branches of government, according to custom and constitutional law, have their own procedures associated with their function and are specifically suited to their duties and responsibilities. That is why the separation of powers is important in a modern rights-centric democracy. Judges in the judiciary in the main are elderly and have practised in the profession for decades. In most jurisdictions, including South Africa, a law degree (which requires nowadays at least four years) is a prerequisite for entering the legal profession. Law societies and bar councils then set their own strict requirements for the admission of attorneys and advocates, such as requisite minimum lengths of practice and community service. Lawyers who remain in academia usually are obliged to write annual research papers, exploring more complex and specialised areas of law. To advance in the profession, generally, higher degrees, such as a doctorate of law, are required. ‘Being a lawyer’ is no mean feat. Judges are at the very top of the pyramid of legal expertise, objectivity and skill. They must pass through most of the above-mentioned prerequisites before they can even be considered for judicial appointment. In contrast, civil servants within the executive do not, as a matter of course, or of law, require any formal qualification. No doubt South Africa’s highly professional civil service has many skilled officials, but it cannot be ignored that many appointments are made due to political patronage. Civil servants are often bureaucrats with no prior experience in adjudication but given guidelines and checklists on how to deal with the problems that will cross their desks. As already said, in the judiciary, no judgment can be passed without the judge being appropriately qualified. Also, no judgment can be made without a ratio decicis – the reason for the decision. If either is inadequate, there are various levels of appeal to courts with other judges who are more skilled right up to the full bench of the Constitutional Court which consists of 11 seats. [JE1] These requirements for judgment establish certainty, rigidity, checks and balances, which are all elements of the rule of law. No court should be established outside of the judiciary. As the Good Law Report explains, the only exception to this would be if “such [non-judicial] courts conform to the standards of justice prescribed by the Constitution and required by the rule of law.” Consumer ‘courts’, Financial Services Board tribunals, and ombuds that “apply subjective conceptions of equity instead of law, do not follow precedent, and do not operate … in accordance with judicial procedure” are not covered by the exception. The Short-Term Ombud, on its website, even states that in its decisions, the Ombud “can” consider “law and equity”. If, when making binding decisions, consideration of the law is discretionary, the rule of law is unequivocally violated. The South African state bureaucracy is rife with examples of this, which is in direct contradiction with our founding values in Chapter 1 of the Constitution. Discretionary rule is tantamount to the rule of man rather than that of law as decisions are based, more often than not, on political policy. This breeds uncertainty and creates a perception not only of injustice, but of selective justice on the part of the executive government. 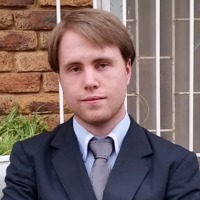 Author: Martin van Staden is a final year LL.B law student at the University of Pretoria, Southern African Regional Director of African Students For Liberty, and an Intern at the FMF. He writes in his own capacity and does not represent the views of the FMF.